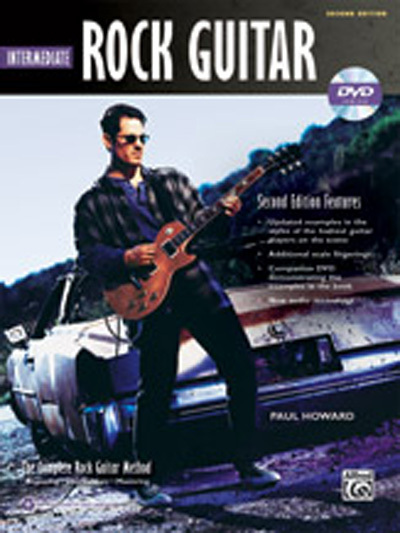 This book and DVD-ROM is great for guitarists who know the basics and are ready to take the next step. Topics include everything from harmonization with triads, and chord embellishment to composite scales, and improvising with the modes. This revised edition features additional scale fingerings, new examples in the styles of the hottest guitar players on the scene, new audio recordings, and a brand new video demonstrating the examples in the book. The new DVD-ROM features teacher and rock guitar master Jared Meeker, who's entertaining and unique style makes learning fun and easy. If you have completed Beginning Rock Guitar or you are an advanced beginner, Intermediate Rock Guitar will take your playing to the next level.